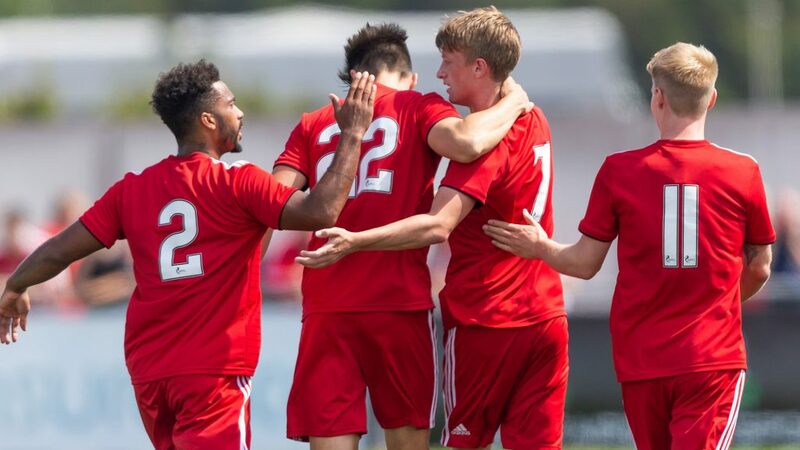 Aberdeen latest pre-season game was abandoned a short period into the second half after former Dons player Jordon Brown suffered a serious head injury. 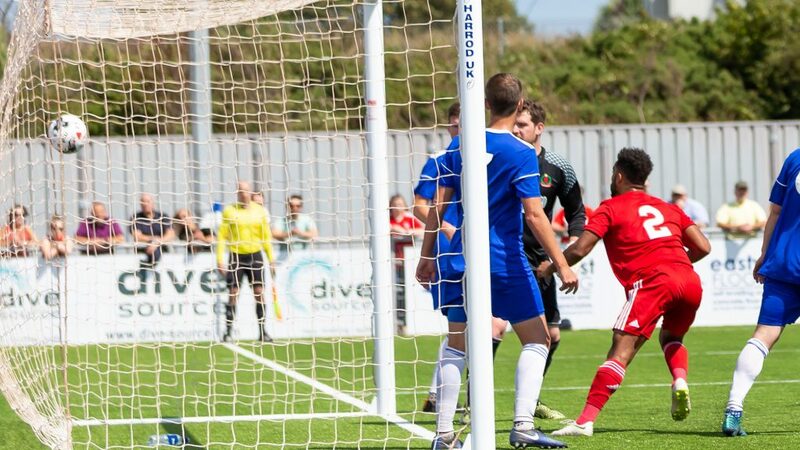 The game against Cove Rangers was played to mark the official opening of the new Balmoral Stadium this lunchtime, with Scotland manager Alex McLeish introduced to the two sides before kick off. 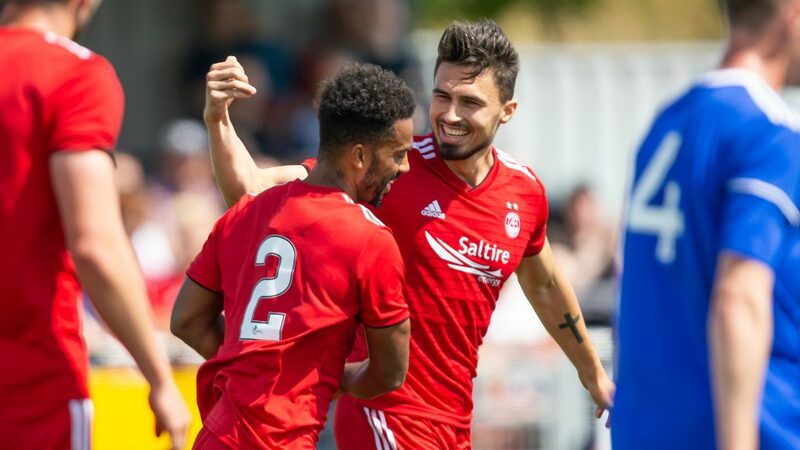 The Highland League side had former Aberdeen players Scott Ross, Mitch Megginson, Jamie Masson and Jordan Brown in their starting XI. On seven minutes Cove worked the ball to Megginson inside the box. With Reynolds on the ground injured, Mitch found some space and although he could not get the ball down quickly enough, he played it wide to Blair Yule who hit a low shot which Joe Lewis did well to keep out and then Considine was able to block a shot on the line from McManus. Reynolds then received treatment but after a few minutes he was able to continue. On 12 minutes good play by Cove freed Megginson down the right. 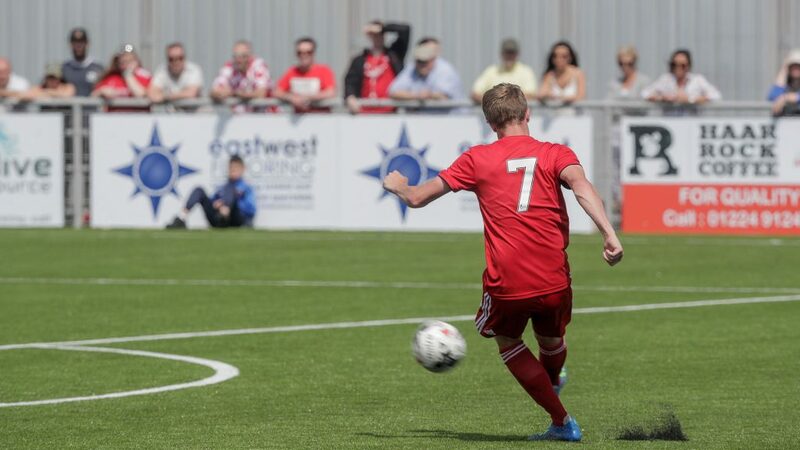 His cross picked out Masson and Jamie’s volley was on target but straight at Lewis. The keeper then launched a long ball for Wright and his cutback picked out May who forced goalkeeper McKenzie into a fine instinctive save. 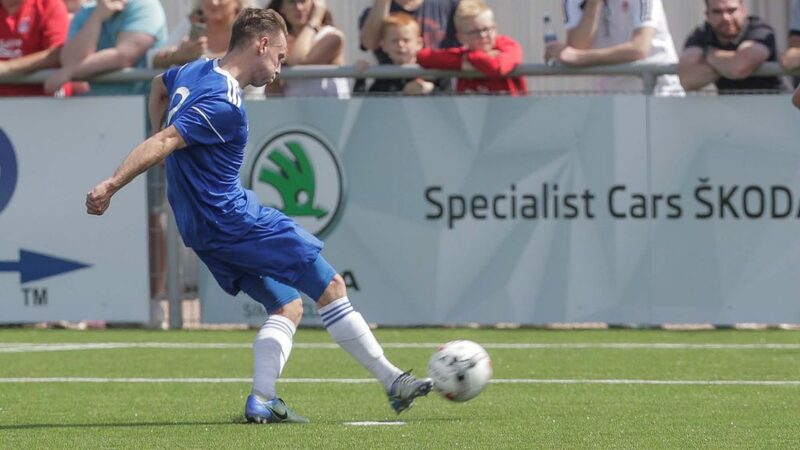 Reynolds had tried to run off his injury but on 13 minutes had to admit defeat and he was replaced by trialist Krstian Nowak who slotted into central defence alongside McKenna. After 20 minutes Shay Logan hit a fierce drive which the keeper did very well to tip wide as the ball was moving a lot. It was the faintest of touches, but he managed to get the ball behind for a corner. From which Aberdeen took the lead. May’s ball in was headed down by Nowak and Logan on the line nodded it home. 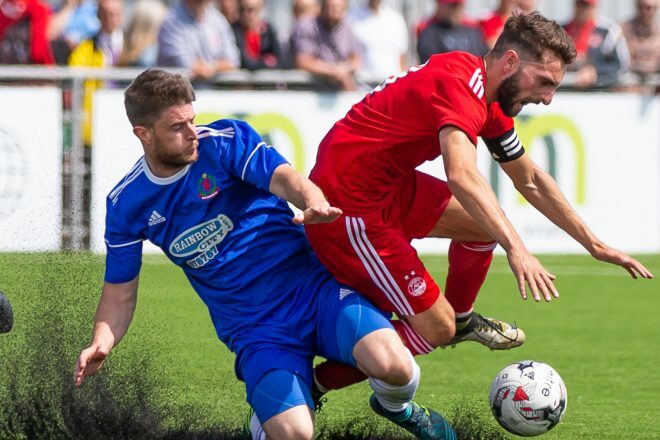 Scott Wright was continuing his fine pre-season form and was looking very lively down the Dons right. On 27 minutes Cove were awarded a penalty when McKenna was adjudged to have pushed Scott Ross over inside the area. Megginson put the ball down the middle from the spot and the sides were level. 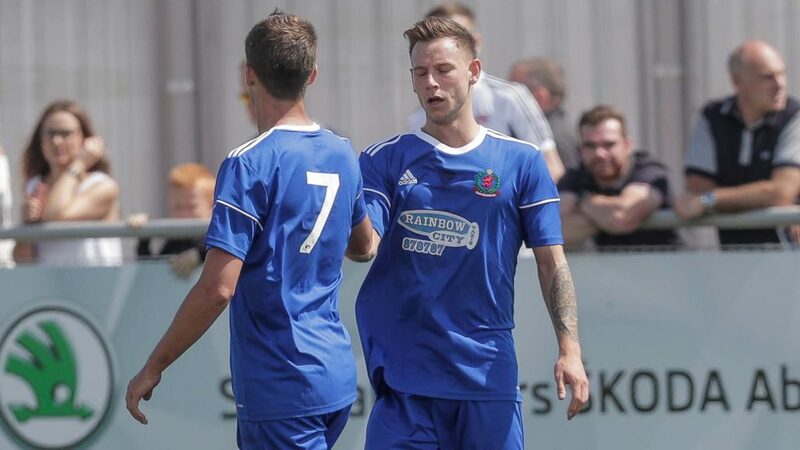 Despite having played against Inverness CT yesterday in the Betfred Cup, the Cove starting XI were competing strongly. After 35 minutes Aberdeen might have had a penalty when Shinnie was blocked from getting on the end of a one two. Then on the break Wright played in Forrester but his first time shot was straight at McKenzie. A short time after that Forrester played a lovely through ball for Mackay-Steven but his first touch let him down. On 40 minutes Megginson went down after a foul inside the area after he appeared to get to the ball ahead of Nowak. On the stroke of half time Aberdeen regained the lead. Graeme Shinnie won a free kick about 20 yards out. Forrester took it and curled it into the top corner, giving the keeper absolutely no chance as the ball was moving away from him. At half time Aberdeen brought on youngsters Sam Roscoe, Dean Campbell, Chris Antoniazzi, Bruce Anderson and Sam Cosgrove. Then about five minutes into the half there was a clash of heads between Andrew Considine and Jordon Brown. The medical people were immediately onto the field to treat Jordon and it quickly became clear it was a serious injury. Referee Alex Shepherd consulted with both managers before abandoning the game. 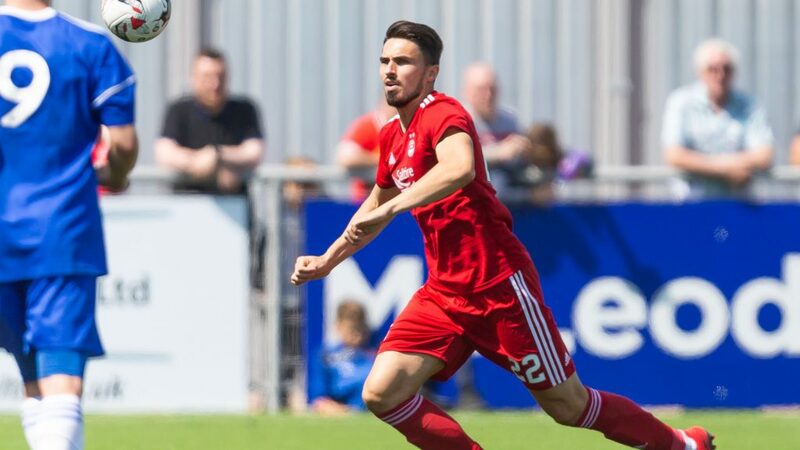 The medical team, which included Aberdeen club Doctor Stuart Reary and physios Adam Stokes and Tony Tompos, continued to treat Jordon before the midfielder was taken away by ambulance. All our thoughts are with Jordon this evening, who was a very popular player with all the staff during his Pittodrie days. We all hope he makes a very speedy recovery. Aberdeen: Lewis. Logan. McKenna (Roscoe 45), Reynolds (Nowak 13), Considine, Shinnie (Campbell 45), Ferguson, Forrester (Antonazzi 45), Mackay-Steven (Anderson 45), Wright, May (Cosgrove 45). Subs: Craddock, Harrington, E Ross, Dangana.